Sepsis survivors and family members of people who have had sepsis may find themselves experiencing emotional and psychological issues that can make it difficult to move forward. Survivors are often told that they have been cured and that they are lucky to have survived. But many are caught off guard by lasting effects, both physical and mental, that sepsis can leave behind. Post-traumatic stress disorder (PTSD), depression, and anxiety are not unusual among survivors. Sepsis doesn’t affect just the patient, researchers have discovered. A study published in 2012 found that the wives of older sepsis survivors were at greater risk of depression to nearly three to four times the average. Depression can be very serious, affecting quality of life and even the ability to function independently. 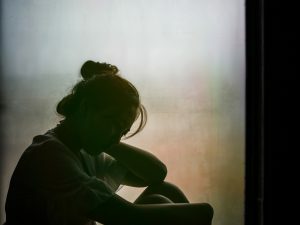 Relatives of people who have died from sepsis may also feel guilt or anger, and loved ones of sepsis survivors may also develop anxiety or even symptoms of PTSD as well, related to the fear and intensity of living through seeing a loved one be so ill. Currently, Sepsis Alliance does not offer direct services that can address these issues. However, there are agencies that can provide the help that you may be seeking, if you have not been able to contact a local mental health professional. This organization also has specific information for family members and caregivers of people who are affected by mental illness. They also have discussion groups, among other resources. If you are a veteran, the U.S. Department of Veteran Affairs has set up a Mental Health section, which includes help lines and a National Resource Directory. Even if you are not a veteran, this National Center for PTSD, may be a helpful resource. This site provides many links to resources from behavioral health agencies to peer support. This is a basic list of resources listed by state. It is not a comprehensive list and there may be many more resources in your area.